Bitia Zenia has been selected as the Faculty Focus Friday employee for middle schools. 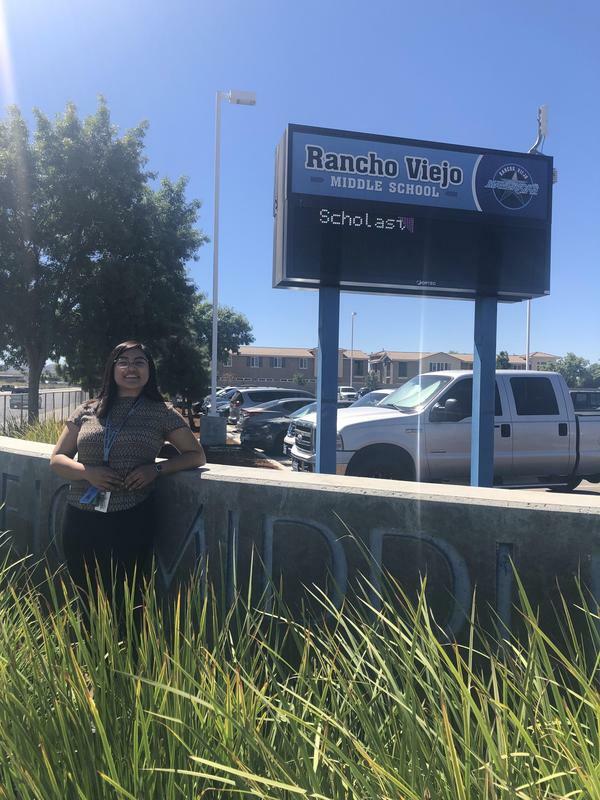 As an Instructional Aide , Bitia goes above and beyond assisting and providing academic and social support for Rancho Viejo Middle School students. Ms. Bitia is extremely detail oriented and meticulous in her work. Her commitment to students is reflected by the student’s love and respect for her. She is also a dedicated and loyal team player. Her support in the classroom has been well received by the teachers and have only heard positive comments on her work ethics in assisting our students and teachers in the classroom. Thank you Bitia for your commitment and support for the students and staff at Rancho Viejo Middle School!